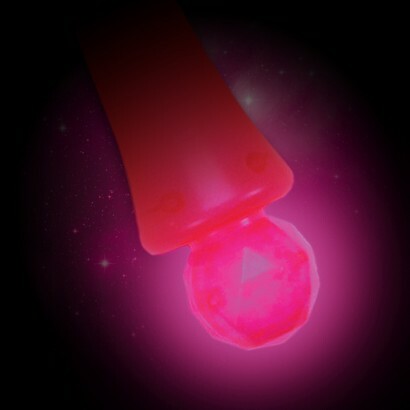 If you like to take a softer view on life then you'll love this fluffy pink wand! Measuring an impressive 45cm long, this large wand is packed with red and blue LEDs that shine throughout the length and handle of the wand for maximum impact in two cool modes. 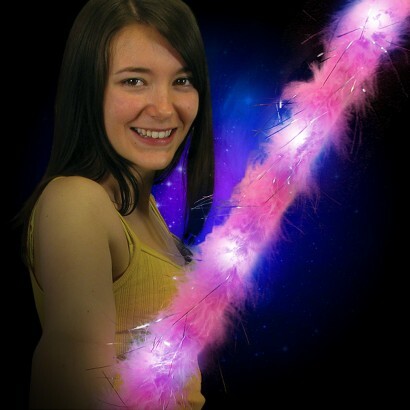 The main body of the wand is wrapped in feathery pink fluff embellished with silver tinsel to soften the effect, resulting in a very sweet and tactile wand. Perfect for parties and events, batteries are included.